In a bid to bolster its anti-money laundering and countering the financing of terrorism (AML/CFT) efforts, the Monetary Authority of Singapore (MAS) has recently responded to feedback on its move to designate serious tax crimes as money laundering predicate offences. Singapore company incorporation specialist Rikvin recognizes that MAS’ response will help financial institutions (FIs) better understand their duties towards this larger goal before the amendments come into effect on 1 July 2013. In addition, the measures serve to upkeep Singapore’s reputation as a sound and progressive financial center as well as align with the AML/CFT aims of the Financial Action Task Force (FATF). According to MAS, FIs are expected to review the efficacy of and if needed, finetune their existing AML/CFT controls to ensure that they can detect monies of serious tax crimes (fraudulent or wilful tax evasion). The move affirms that Singapore takes allegations that undermine its competitiveness very seriously, and will not allow its financial system to be abused to facilitate serious tax crimes. It also functions as an assurance to economic stakeholders worldwide that Singapore has the necessary framework in place to combat money laundering activities and is bolstering its efforts to weed out accounts that threaten its peace and reputation. FIs must assess if there are sound reasons to suspect that a client’s assets are derived from serious tax offences. If so, they must file suspicious transactions reports (STR) and accordingly, apply risk mitigation and control measures. In line with the FATF standards, the concept of dual criminality will apply to such crimes. In addition, if there are reasonable grounds to suspect that a prospective or existing client’s assets are proceeds of a serious tax crime, FIs should neither approve nor continue to service the account. If they wish to retain the client, approval from the FI’s senior management must be sought and substantiating reasons must be properly documented. FIs are also expected to assess their client’s tax-risk profile by using a risk based approach (RBA) and prioritise the sequence of their reviews. 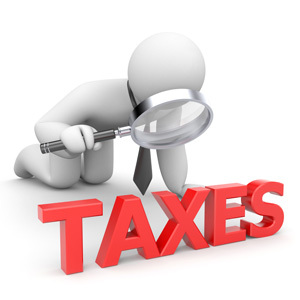 The review of accounts deemed as presenting high tax-risks must be completed by 30 June 2013 while those of all other accounts must be completed by 30 June 2014.